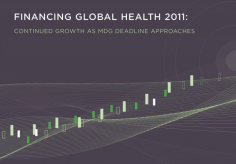 Financing Global Health 2012: The End of the Golden Age? 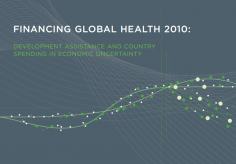 is IHME’s fourth annual report on global health expenditure and includes preliminary estimates for health financing in the most recent years. 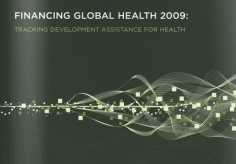 In this year’s report, IHME built on its past data collection and analysis efforts to monitor the resources made available through development assistance for health (DAH) and government health expenditure (GHE). It confirms what many in the global health community expected: After reaching a historic high in 2010, overall DAH declined slightly in 2011, with some organizations and governments spending more and others spending less. The research suggests that, despite global macroeconomic stress, the international community continues to respond to the need for health and health system support across the developing world. Over the past two years in particular, DAH has been sustained at levels of spending that would have been inconceivable a decade ago. The recent plateau in DAH, however, raises a number of considerations for decision-makers and other global health stakeholders. 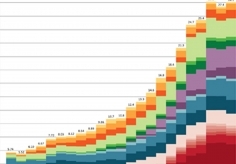 Among other improvements in this year’s edition of Financing Global Health, the information produced by the Global Burden of Diseases, Injuries, and Risk Factors Study 2010 (GBD 2010) added another significant facet to the analysis. The comprehensive and comparable estimates of disability and premature mortality produced by GBD 2010 allowed us, for the first time, to relate DAH to burden of disease. IHME is always looking to improve its policy reports. Please take a few moments to complete a brief online survey when you have finished reading the report. We appreciate your feedback and interest in IHME's research. Institute for Health Metrics and Evaluation. 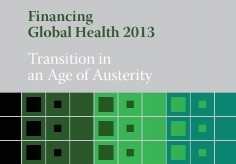 Financing Global Health 2012: The End of the Golden Age? Seattle, WA: IHME, 2012. Has the "Golden Age" of global health funding come to an end? As global economic troubles continue, cuts in global health funding from the US government and other bilateral donors may signal the conclusion of an era of rapid growth.